In the past month I’ve been up and down to London and Manchester on a couple of special assignments, and I’m excited to share with you what it was all in aid of! 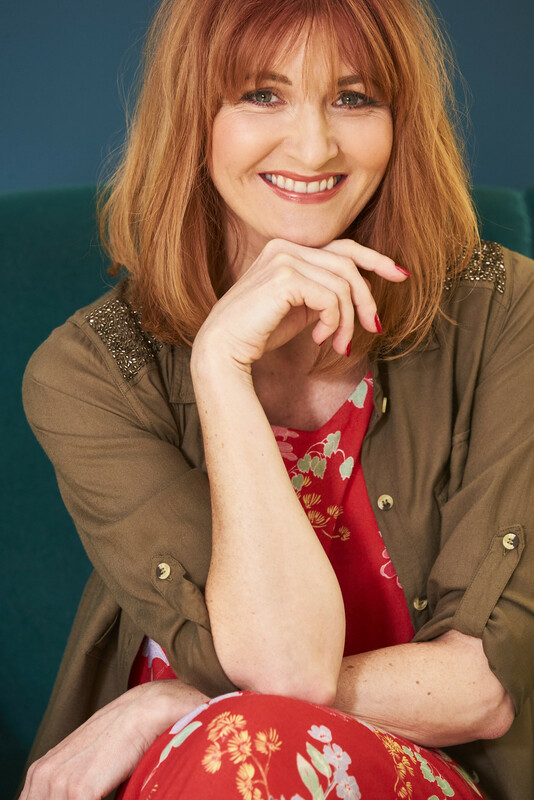 I’m sure many of you may know fashion brand JD Williams – I’m really honoured to be the first blogger to be asked to be guest editor of their monthly “magalogue”, LIFE.Style. 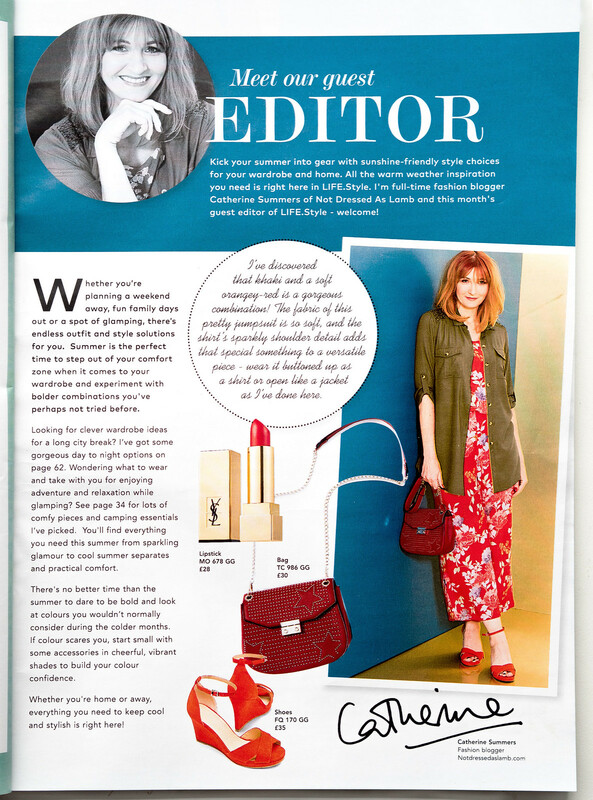 Well, if you’ve ever looked in the front of magazines where you get that little intro from a guest editor and wondered who they are and what went into the whole process, then you’re about to find out! You can see the magazine below – I couldn’t be more pleased with how it all turned out. Every part of the process has been so much fun and I won’t lie, it’s been very hard work, but it’s definitely all been worth it and I couldn’t be more happy with the finished product. JD Williams are going into a bit of new direction, and I was asked to collaborate with them to be part of that new direction and bring them to a new audience. I will be honest and admit that I wasn’t really familiar with their actual collection – I know the brand itself well enough but I’ve never really shopped there before. However… I absolutely LOVED what they had to offer. That totally surprised me, and in a really good way. I know I harp on about good matches between bloggers and brands being so important and being a fan of the brand first is important, but I don’t think there’s a problem when you’re introduced to a brand you’re not familiar with (or don’t shop at) but you take a shine to straight away. Before the photoshoot took place, I had to choose three outfits to wear to accompany the three sections of LIFE.Style I’d be appearing in. And this is where it got really crazy – we had an early start in the studio on a Monday morning so I stayed in a hotel in London the night before. There had been no time to get me the clothes to choose from to my house (or send them back), so a suitcase and one huge bag full of clothes were couriered to my hotel room where they were ready waiting for me. And I spent the evening trying on clothes, creating outfits and generally constructing the most almighty clothes bomb in my hotel room. I WhatsApped photos to Keith to ask his opinion if I wasn’t sure… He’s got a good eye and often helps me make my mind up more quickly. 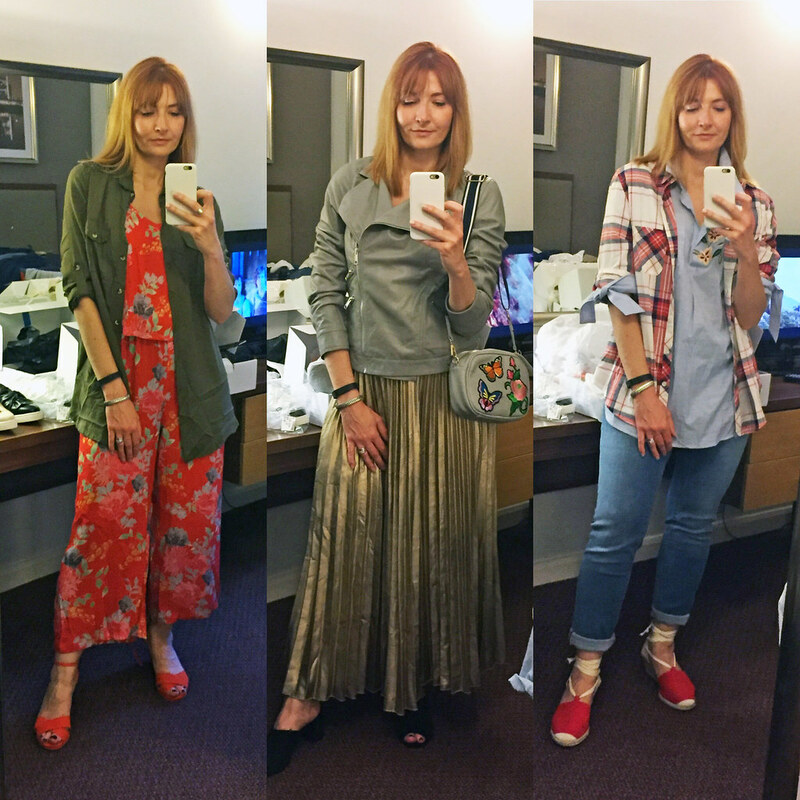 Time was of the essence and I had to come up with outfits for three themes: The guest editor’s letter page, a city break and glamping (glamorous camping). I could have actually chosen FAR more than just three outfits (hence the problems choosing). I loved the shoes, the denim was great, there was many, many shirts I could have happily taken home with me, the jumpsuits were TDF… I loved so many pieces. At the end of the evening and after deciding on my final outfits and stuffing everything back into the suitcase and bag, I basically fell into bed. This is probably one of the most fun parts of my job: photoshoots. Unless you have a morbid fear of having your photo taken (I know some women do, but as a fashion blogger you can probably guess I’m not one of them) then what girl wouldn’t find this fun? After meeting the team (who were all, by the way, absolutely lovely) I went through the outfits I’d chosen so that the stylists and seamstresses could work their magic and iron out those creases… the clothes were samples so not necessarily my size. Some of them had to be taken in a little to fit me: what magic those ladies weave! Then straight into hair and makeup. What was nice about this shoot was that I was asked how I wanted both done (to be fair I am usually asked on photo shoots, but occasionally not…) – the MUA had checked out pictures of me on my blog so he knew how I like to do it myself. Hair: lots of texture, not too “done”. Makeup: pretty natural, not too heavy (the older I get, the more dark eye makeup ages me), sometimes with a bold lip. And after that, the fun bit… three outfit changes, and LOTS of posing: some sitting, some standing, some walking. It was very different to being photographed outside by Keith: I’m used to walking slowly so that Keith can focus and still maintain bokeh (the blurry backgrounds): In the studio you don’t have bokeh or worries about a small depth of field so I was told to walk faster – MUCH faster! This was the other fun bit, though the deadline was really tight. I had really what was only a day to write my guest editor’s welcome letter and the copy to accompany the two double page spreads (city break and glamping) and choose what items I wanted in the magalogue. NOTHING THAT I WROTE WAS CHANGED IN ANY WAY. THE SECTIONS YOU SEE IN THE MAGALOGUE WITH MY NAME AGAINST THEM IS 100% MY OWN WORK. It was lovely to have almost complete artistic freedom. We weren’t following a template but JD Williams were more than happy to go along with my suggestions – this is what a true collaboration with a brand feels like. They want your input and experience as a blogger and what you, as an “outsider” to their company, can bring to the table. 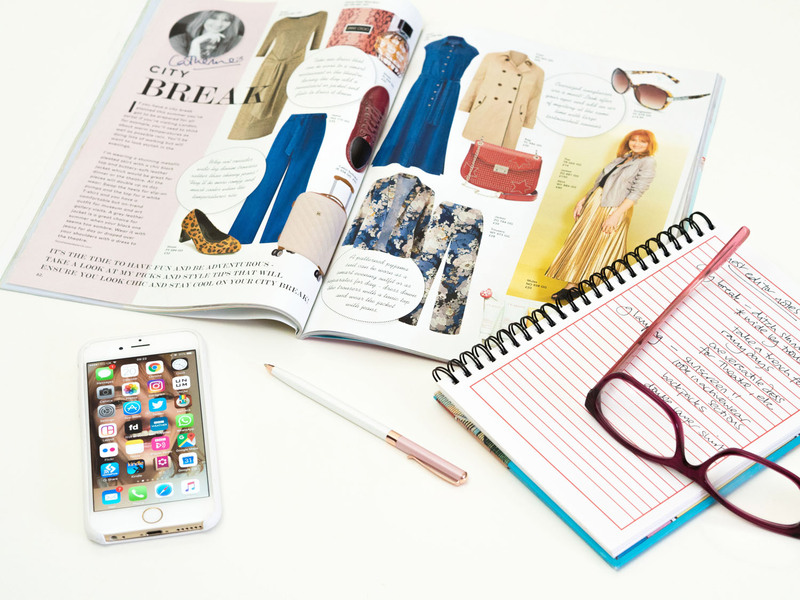 It’s a fresh perspective and that’s why bloggers are so important to brands – they have something new and fresh to contribute without the confines of working to an agenda or a job description. I hope that makes sense…? Anyway the copy was sent off about 24 hours later with only minor tweaks required the next day. JD Williams were very insistent it was all in my own voice, and nothing that I wrote was changed without my consent (unlike that time a piece I wrote for a tabloid was butchered without my knowledge or consent). The sections you see in the magalogue with my name against them are 100% my own work. 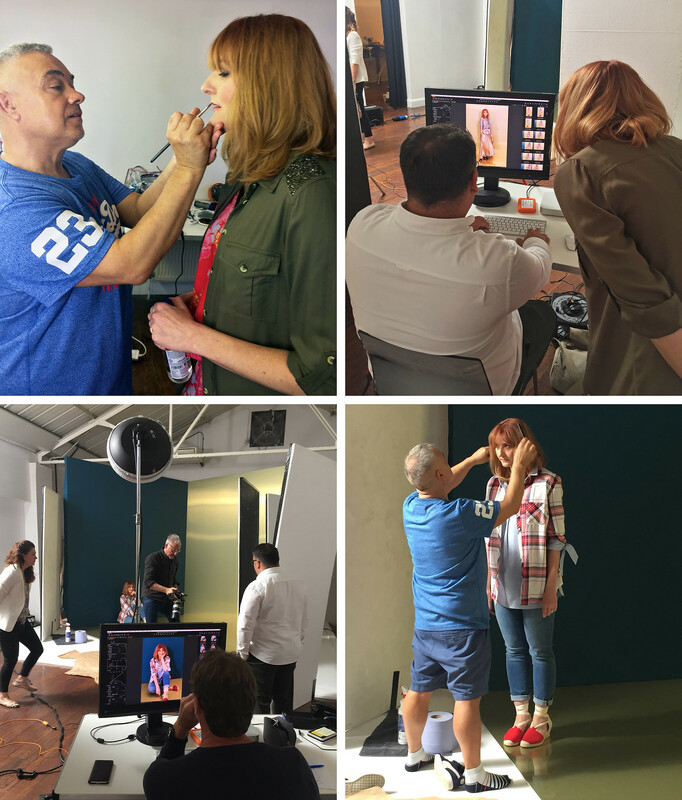 Within a few days I was sent links to the photos from the shoot where I had to choose my favourites – the team then picked which ones fitted the layout best. So I had control over which of my images were being used too (which is a HUGE relief, especially after the bad experience I wrote about when I hated photos that were published of me). About a week later the drafts of the guest editor letter and the double page spreads were in my Inbox and I let out a little squeal… The relief of seeing something that you didn’t ultimately design yourself (but has your name against it) that looks good is HUGE. Top marks, JD Williams design team. 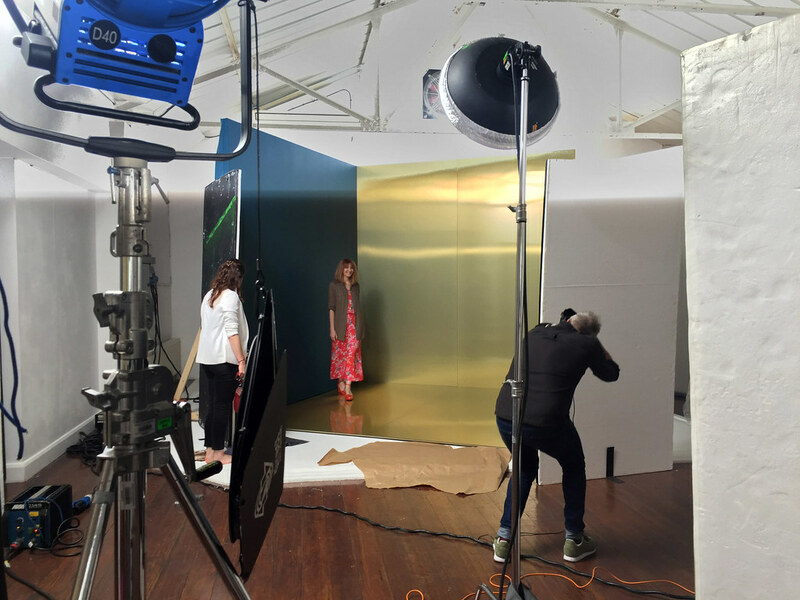 This was the second part of the LIFE.Style magalogue campaign – a video shoot to accompany the whole project. I travelled up to Manchester just last week for a day’s shooting (staying in a hotel the night before again), but this time I had to wear, walk and talk… NOT an easy task, and certainly not as easy (for me!) as posing for photos. It was a different team being in a different city, but as before every single person was absolutely lovely. These are the parts of my job I love: Meeting new, incredibly interesting people. Making new contacts. Having fun but working bloody hard. First: Hair and makeup. We were recreating the look of the photo shoot so that bit was easy (especially when you just sit and wait for the magic to happen). Focusing on the city break and glamping themes, we chose eight outfits (four of each theme), including the three from the photo shoot. That meant a lot of outfit changes and a LOT of talking about the outfits and how I styled them. Me, talking to camera. Not my strong point. Put me in front of a room full of people and ask me to talk and I’m fine (don’t ask me why but I love public speaking), but talking direct to camera in a “presenting” style is really, really hard. Especially when you’re not reading an autocue and have to make up what to say on the spot. Anyway it’s all good practice, especially for things like YouTube, so I can only say I will get better. No photos from this part – we were too busy! The day was a very long one – I missed two trains home so ended up getting one that took 5.5 hours instead of 4 and rolled into the train station where Keith was waiting to collect me at half past midnight. A verrrrry long day, but so much fun. I haven’t seen any footage yet but I think it will be soon. It’ll be on the JD Williams site so when I have a link to it, I’ll add it here. So thank you, JD Williams, for believing in me and seeing the potential that bloggers and influencers have when they come together with the right brand. This won’t be the last time I work with them – we have more collabs lined up this year – and I couldn’t be more excited to see what the next instalment will bring. Next month: I’ll style the pieces I chose again for my own photo shoot here at home to show you what other ways they can be worn… Stay tuned! HOW DID MY EXPERIENCE OF THIS COMPARE TO WHAT YOU EXPECTED – DID YOU EVER SUSPECT THAT “GUEST EDITORS” DIDN’T REALLY CONTRIBUTE ANYTHING AT ALL? TELL ME IN THE COMMENTS OR TWEET ME @NOTLAMB! Disclosure: This post was sponsored by JD Williams (click here for my full disclosure). All content is original, however, and opinions are my own and 100% honest. Next Post Isn’t It Time Blogging Was Taken Seriously as a Profession? Agree you look fabulous and great lipstick shade on you – I hope you got a supply to keep! How cool! This is so amazing! Loved reading this post and congratulations. What fun it is getting your photo taken and what an interesting project to be in and hear about. The orange and khaki rigour is my favourite. What brilliant photos – you look fab in all of them! I remember "starring" in a friend's photo project where I got to wear lots of my own favourite dresses. I loved the results and was allowed to use them on my website. You should be really proud of this, you look absolutely stunning in those photos. You look just like a professional model. It sounds like it was hard work but it must have been so worth it when you saw the end result. Wow, super cool and professional! Congratulation on the good work! I always wonder and interested in how blogger does a project or collaboration, including being a guest editor like this step by step. Thank you for the well written insight, you look great and much respect for JD Williams. I must tell you that I was struck by how different you look. Obviously, you look professional, glam, beautiful and relatable and all of the things JD Williams is looking for BUT your husband has that gift of capturing something extra… a magic between you. Nothing I can put my finger on but he is your own David Bailey. I can't wait to see your video and find out more about your collaboration. P.S Love those layered shirts BTW!